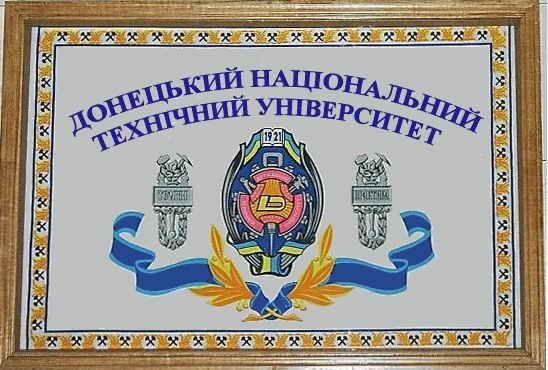 Донецький національний технічний університет - Donetsk National Technical University. "National Agricultural University during the time of its creation (1994) approved its own emblem and later a flag. In 2000 a competition for the creation of NAUU anthem was held." 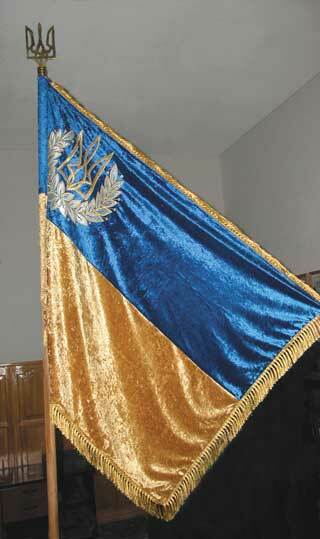 Here is the flag of the Ukrainian National Medical University from <www.nmu.edu.ua>. On the same page are shown also probably ceremonial flag and the banner. 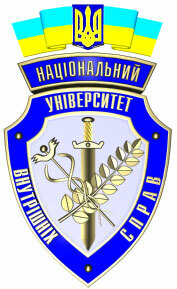 In the center of the blue flag is the main composition of the University arms and around it are words "Honour, Mercy, Glory" and the full name "National Medical University - named O.O.Bogomolets". 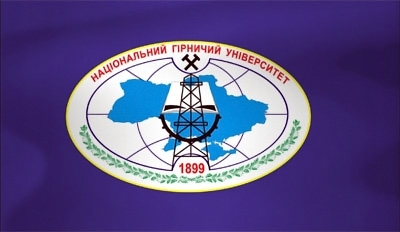 Національний гірничий університет (Дніпропетровськ) - National Mining University (Dniepropetrovsk). National University of Internal Affairs is located in Kharkov, Ukraine. The university's home page in English presents the university's arms and its flag from obverse and reverse.